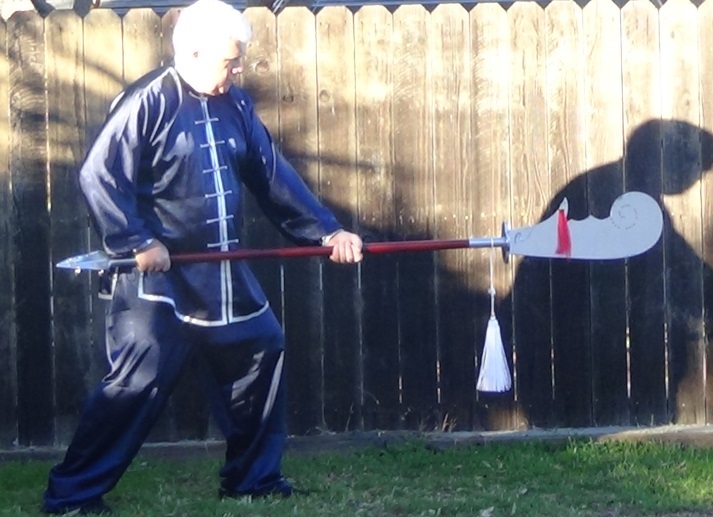 Comparing maces and half staffs. 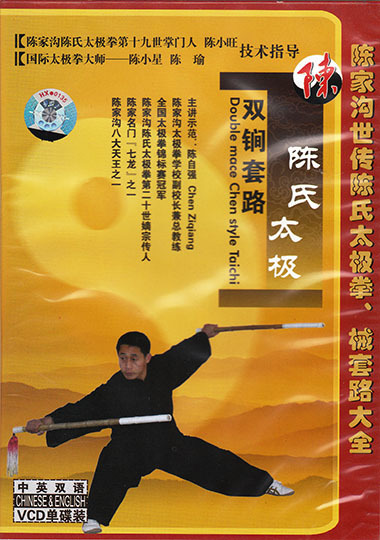 Some insights from China on teaching martial arts to students with autism spectrum disabilities as well as students with epilepsy. One notion was to reduce variance in the assessment of prescriptions and regimens by having regular and consistent exercise. There was a great deal of e-discussion about how competition standards could be used to evaluate the forms done each week or each day and so provide numeric data that could be correlated and be subjected to covariance analysis. 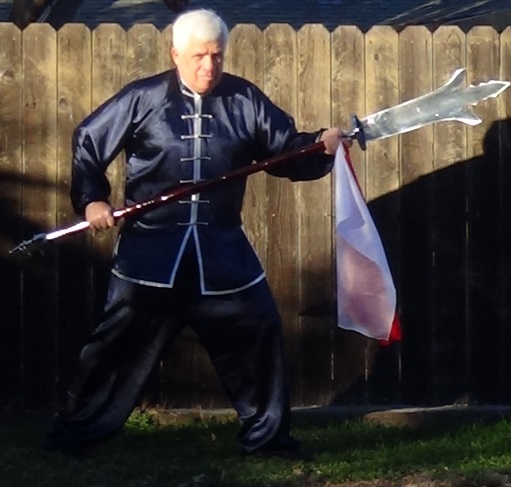 San Jian Liang Ren Dao. 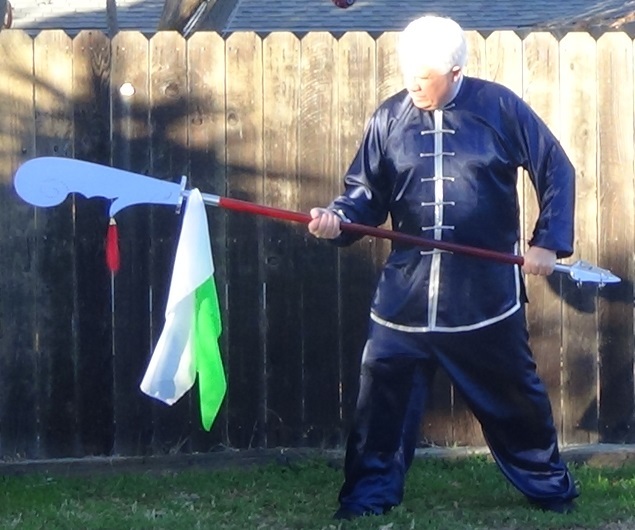 One interpretation of this weapon is two simplified kwan dao headpieces fused together, but the ‘wing’ points really need something like an additional spur in order to make possible hooking motions like the Green Dragon kwan dao provides for. 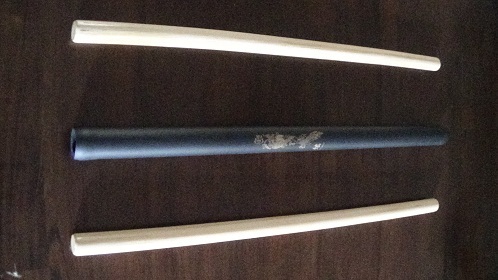 An Eagle Kwan Dao from China via Wing Lam Enterprises (wle.com). So named because the blade is supposed to resemble a perched eagle scanning for prey. 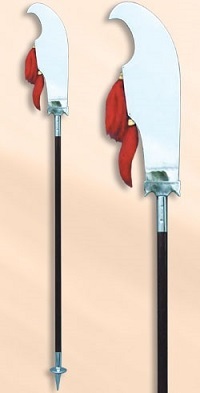 With a little good fortune, perhaps a Double Kwan Dao – a Green Dragon/Reclining Moon blade at each end. 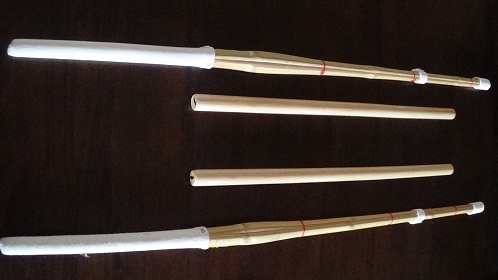 We remain skeptical of how deadly the Elephant Kwan Dao would be. There are regular (Reclining Moon / Green Dragon – sometimes even Black Dragon in some translations) Kwan Dao sets in at least eight arts. No answer yet on what art or arts use the Elephant, which may indirectly answer the question of how fierce a weapon it is. But the cinematographer liked the green and white flags over the white tassels.